Though plenty of those who worship her every move with a devotion bordering on the religiosity that’s so much a part of her work adamantly disagree, for this longtime fan, punk-poet Patti Smith hasn’t had a great century. The last album that really measured up to the brilliant invention of her four classic releases in the ’70s was her first comeback/postcard from her sojourn as a mother and a housewife, Dream of Life (1988), and that only in part (“People Have the Power”). Gung Ho (2000), Trampin’ (2004) and Twelve (2007) all have been more disappointing than the albums that preceded them, failing to answer the question I posed in my review of the middle of that trio—“Why should we care about this windy old hippie poet spouting all that drivel over bad, boring folk songs?”—and in general serving as “a better parody of Patti Smith than Gilda Radner’s infamous Candy Slice, only Candy rocked a lot harder.” Nor was I a big fan of her 2010 memoir Just Kids, which served more as an exercise in skillful mythmaking than honest or artistic autobiography. In everything she did, Smith seemed to be pulling her punches, a far cry from the not-always successful but consistently fearless Beat legend we first came to love. More than two dozen listens into Banga, the singer and songwriter’s 11th studio album and her first set of original material in eight years, I’m thrilled to say that this is the record I no longer thought her capable of giving us—certainly her best since Wave (1979), and quite nearly as strong as the immortal Horses (1975). The question I’ve been wrestling with is: Why? Funny enough for this famously loquacious wordsmith, it succeeds largely on the strength of the music. For once, the diverse musical backings of longtime collaborators Lenny Kaye and Tom Verlaine on guitars, Jay Dee Daugherty on drums and Tony Shanahan on bass shine as brightly as Smith’s vocals and lyrics, integral to the latter rather than mere decoration to them. That is to say, the songs finally work as songs, even as the themes are more than a little familiar to those familiar with Smith: We get another elegy for another dead pop star (Amy Winehouse in “This Is the Girl,” a much less worthy subject than Kurt Cobain in “About a Boy”), more tributes to heroes religious, artistic, historical and literary (Saint Francis and painter Piero della Francesca in “Constantine’s Dream,” the explorer Vespucci in “Amerigo,” and the Russian novelist Nikolai Gogol in “April Fool”) and even another cover (Neil Young’s “After the Goldrush,” which follows the batch of a dozen her on last set, the covers album Twelve, though this one is better than any of those). As usual, some lines are brilliant (“Oh Lord, let me die on the back of adventure/With a brush and an eye full of light”), some are bullsh*t (“We&apos;ll burn all of our poems/Add to God’s debris”) and some are a little of both (“Last night was a rapture in the mosaic sky/ Dropping shards of love”). But for the first time in a long time, Smith doesn’t seem to be laboring quite so hard over any of it—or struggling quite so desperately to sell it as Art. She’s simply letting it blurt, riding a range of glorious grooves that vary from somber, folksy ballads (“Mosaic”) to catchy, driving pop songs (“April Fool”), and from balls-out rockers (“Banga”) to the more than 10-minute psychedelic epic “Constantine’s Dream,” which finally approaches the musical nirvana she attempted but didn’t quite reach on Radio Ethiopia (1976). 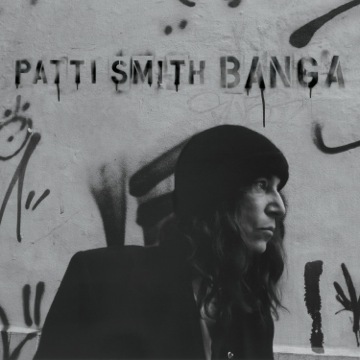 Belying the surprising consistency of all of the above is that fact that these tracks were recorded in a haphazard, scattershot way over the course of more than a year, in between Patti’s many commitments to being Patti, traveling the world to promote her art, her poetry, her music and most of all herself (a la her 2009 chat with this interviewer following a screening of Steven Sebring’s Patti Smith: Dream of Life at Northwestern’s Block Cinema). At last, the legend isn’t worried about polishing her legend. She seems just to be having fun. It’s contagious, and it’s brilliant.